When deciding on a hair transplant specialist in Naples-Fort Myers, Florida, it's important that you choose a board-certified plastic surgeon who's experienced with advanced techniques. Dr. Kent V. Hasen's aesthetic credentials are exceptional, and he offers the advanced NeoGraft® hair restoration system in a state-of-the-art facility supported by a dedicated medical team. 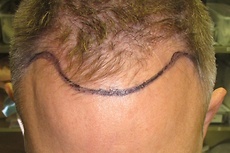 As someone who has undergone Neograft hair restoration himself, Dr. Hasen appreciates and understands the patient's perspective during treatment. That's one reason Hair Restoration of Naples emphasizes personalized care in a relaxing environment. To visit our location and learn more about the NeoGraft system, request your consultation using our online form or call (239) 262-5662 to schedule an appointment to meet with Dr. Hasen. Hair transplant procedures are offered by a range of providers, including some who have no specialized medical training. Some doctors may claim they are “board-certified” hair restoration specialists. However, there is no approved hair transplant surgery or surgical hair restoration specialty sanctioned for the certification process governed by the American Board of Medical Specialties. Dr. Hasen is a board-certified plastic surgeon with more than 15 years of experience performing aesthetic surgery for the face and body. Dr. Hasen was educated at Cornell University Medical College and went on to hone his skills at Northwestern Memorial Hospital in Chicago and Plastic Surgery Associates in Miami. To complement his impressive work in aesthetic medicine, Dr. Hasen has also chosen to offer hair restoration, including NeoGraft. In order to offer patients the best of today’s hair restoration options, Dr. Hasen has undergone extensive training in a variety of procedures. He’s even undergone NeoGraft himself, allowing him to offer prospective patients an invaluable first-person perspective on the procedure. 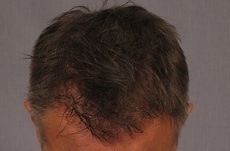 Innovative NeoGraft is a new generation of hair restoration for a new generation of people. Using careful extraction and transplantation of individual follicles rather than a large strip of hair, NeoGraft offers exceptional, reliable results without an unsightly linear scar. Learn more! In addition to Dr. Hasen’s own expertise, his hair restoration specialists have years of experience performing a variety of hair restoration procedures. He is highly committed to this part of his surgical practice and finds both personal and professional fulfillment in delivering great results. Dr. Hasen’s hair restoration practice is excited to have moved into our new, custom-designed office. 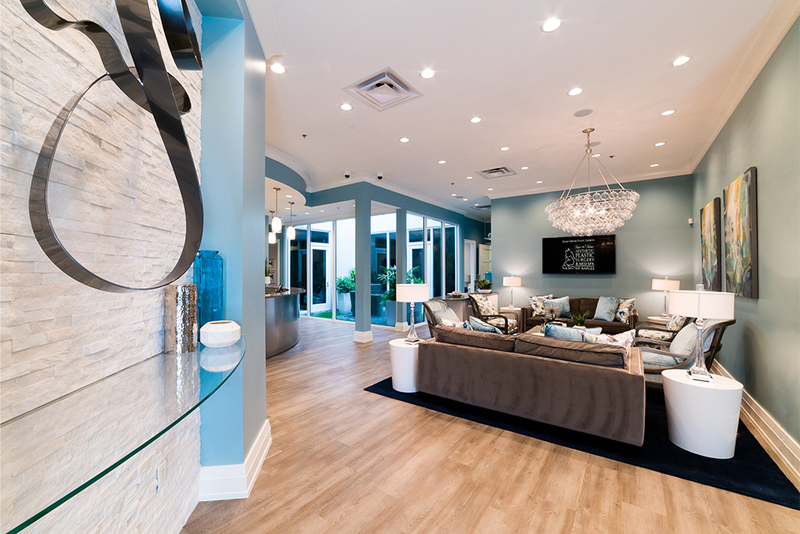 We offer the same, personalized care our patients expect, now in a more luxurious, larger space that features the most advanced high-tech equipment and amenities designed to meet all of your needs. The 7,500-square-foot facility is both beautiful and spacious, allowing our patients to be comfortable and have access to the latest services. It features additional treatment rooms and is a testament to our dedication to providing excellent aesthetic care. Dr. Hasen’s team is known for getting consistent results for men and women who choose him for hair restoration surgery. Their main focus is restoring hair in a way that looks completely natural. Many patients are worried about the “hair plug” look that was common years ago, but rest assured that Dr. Hasen can completely avoid such results with the help of NeoGraft. Using this automated system and his own artful eye, he and his hair restoration specialists restore tiny follicular groupings of hair to the front and top of the scalp. Their aim is to create a natural-looking hairline and make sure each hair is placed so that it grows and lies in the proper direction. With these priorities in mind, Dr. Hasen’s team has been able to achieve impressive results for many patients over the years. Be sure to check out our gallery of before-and-after photos showing the results of actual patients who have visited him for surgery.